Stroll through lavender and flower gardens or relax on the veranda of this French farmhouse located in California's Napa Valley wine country. 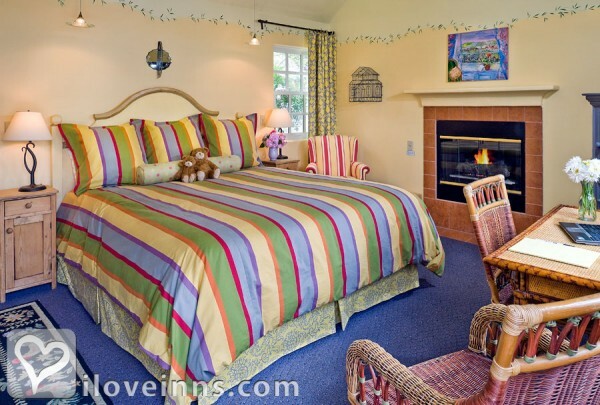 Privacy and elegant country comfort are the order of the day in guest bedrooms decorated in bold natural colors. 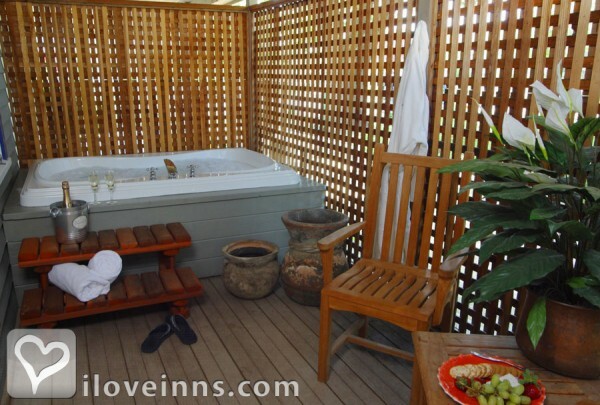 Each cottage boasts a private entrance, patio and two-person bathtubs. 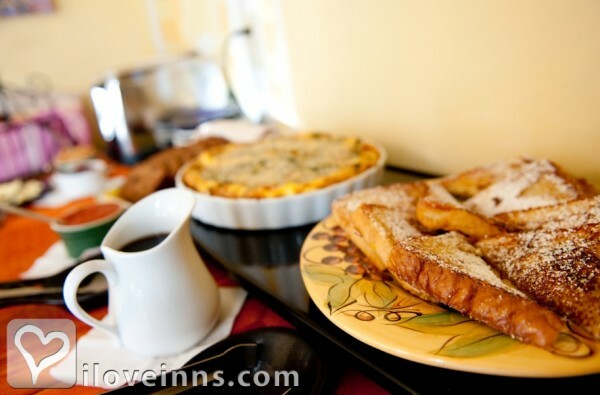 The farm breakfast is an all-you-can-eat buffet with a variety of courses sure to please the most discriminating palate. Gather for afternoon teatime with wine, cheese, crackers and baked goods. 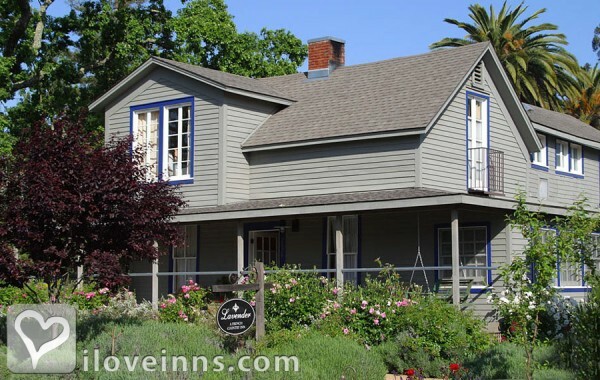 Walk through the small town of Yountville with vintage 1870 shopping center, cafes and historic residential homes. Check out a bicycle and explore the area. 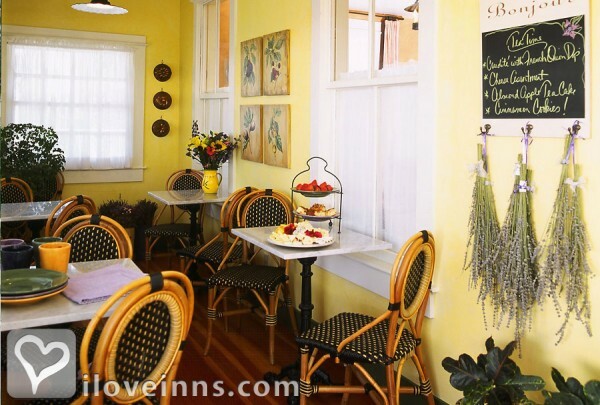 Take the Wine Train tour and visit nearby Calistoga.Location: Wine country. 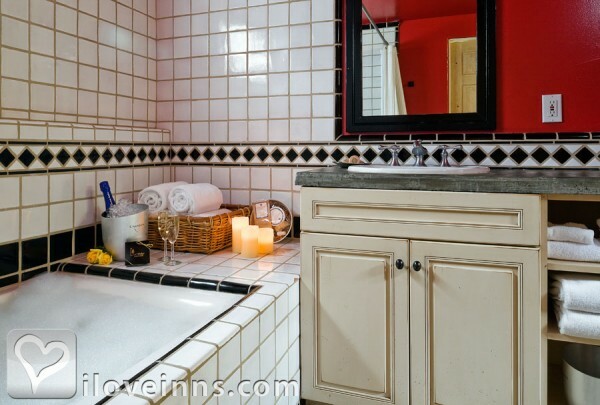 Rooms: This property has 8 total guest accommodations with private bath, 8 with fireplaces, 3 with hot tubs, 3 with whirlpools and 6 cottages. Pets: Pets Allowed and An advance reservation for your pet must be made as we have a select few guestrooms that accommodate pets. There is a fee of $65 per stay. 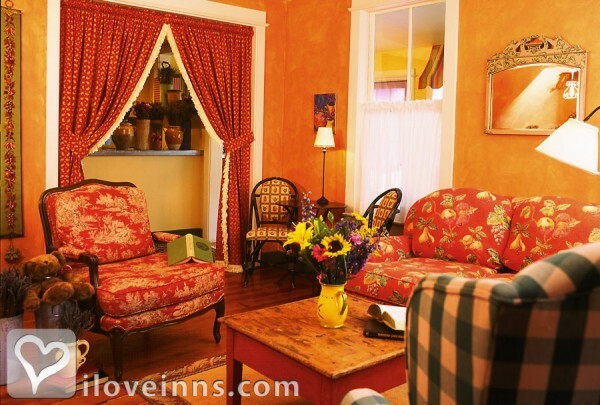 Meals Included in Rates: Hors d'oeuvres, Breakfast and Wine. 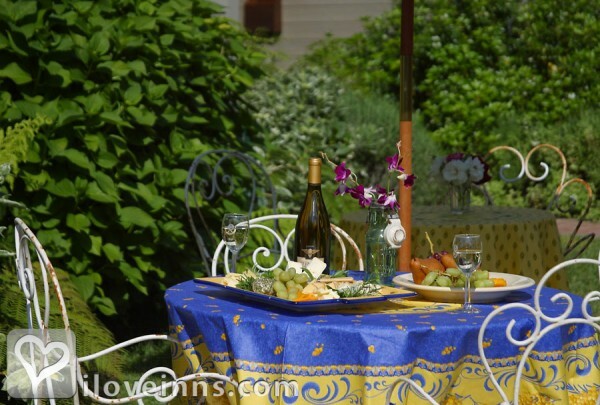 Types of meals: Full Breakfast, Early Coffee/Tea, Hors d'oeuvres and Wine. Amenities In Room: Cable TV, Hot Tub/Spa/Jaccuzi, Bath Amenities, Bathrobes, Reading Lamps, Hair Dryer, Air Conditioning, DVD, Telephone, Refrigerator, Clock Radio, Iron/Ironing Board, Stereo, Data Ports, Modem Hook-Up, Desk, Television, Turn-Down Service, Voice Mail and Wireless Internet Access. 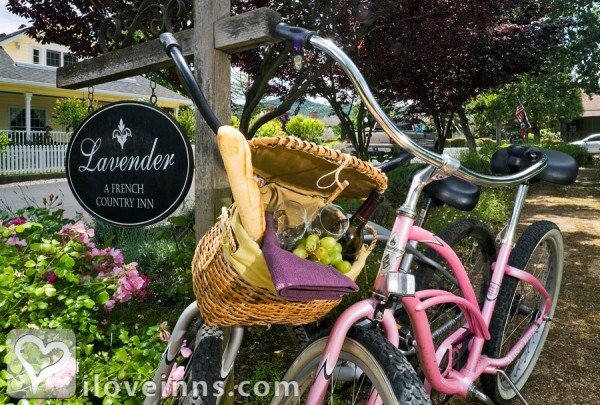 Amenities On Site: Fax, Copy Machine, Bicycles, Fireplace, Handicap Access, Pool and hot tub privileges at neighboring sister-inn Maison Fleurie. Business Traveler Amenities: Daily Newspapers, Desk, FAX On-site, Hair Dryer, Internet Access, Iron/Ironing Board, Television and Wireless Internet Access. On-Site Spa Services: Body Wraps, Facials and Massages. Other Activities: Wineries, Tennis, Shopping (Local Crafts), Parks, Museums, Live Theater, Horseback Riding, Hiking, Golf, Fishing, Bicycling, Art Galleries and Antiquing.